【February 7, Taipei, Taiwan】 FSP, one of the leading manufacturers of power supplies in the world is pleased to announce its newest advanced power supply, the Hydro PTM+. 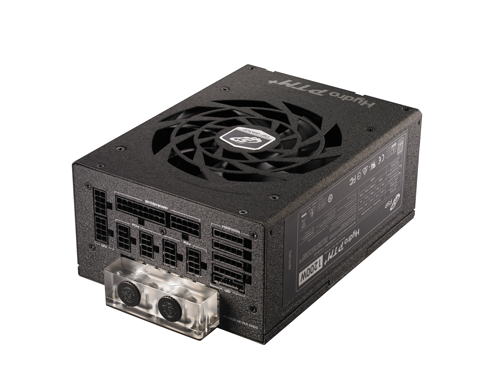 After its initial unveiling at Computex 2017, where it received massively positive response from hardware fans and PC gamers, the Hydro PTM+ 1200W is now ready to be built into PC gaming rigs across the globe. 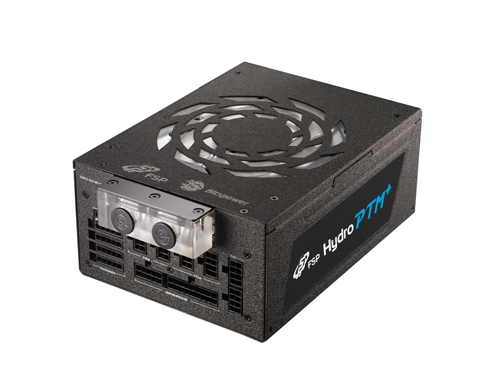 The Hydro PTM+ was developed in cooperation with Bitspower to create a unique liquid cooled power supply that excels at its efficiency, power rating, and thermal performance. With liquid cooling enabled, up to 1400W of power can be delivered, but when power demand is below 50% loading the Hydro PTM+ remains passively cooled, remaining completely silent. On top of the fantastic power delivery and unique cooling solution, the Hydro PTM+ fits any gamers’ needs, by also offering good looks. 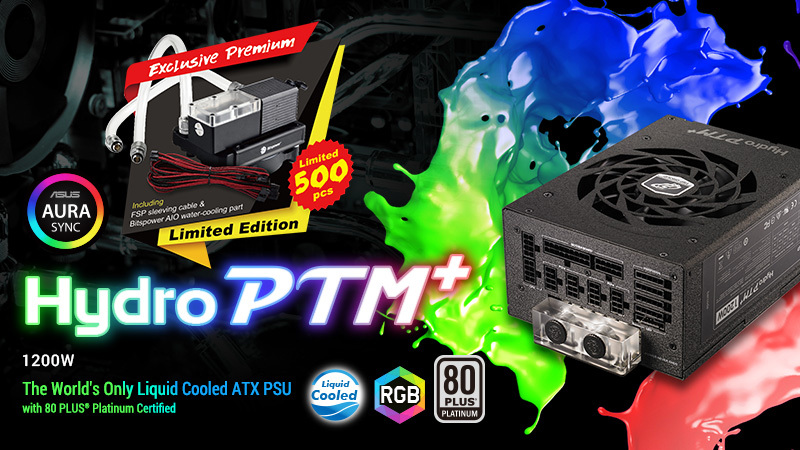 With ASUS Aura sync certified RGB lighting inside the unit and fully modular design with ribbon cables, the Hydro PTM+ is the first PSU that truly combines power, cooling, and aesthetics. Internally, the Hydro PTM+ is made of only the best components. Feature 100% Japanese made E-caps, which provide reliable power and have a prolonged lifespan over other alternatives. The design, is based on a single 12V rail with a DC-DC module for supreme efficiency and voltage stability. This allows for the extremely high 92% efficiency rating, 80 PLUS ® Platinum certification, and various protection schemes such as over-current, over-voltage and over-temperature protection. When power-demand, and temperature rises, a single 135 mm FDB fan can cool the entire unit and starts spinning up at 30% load. 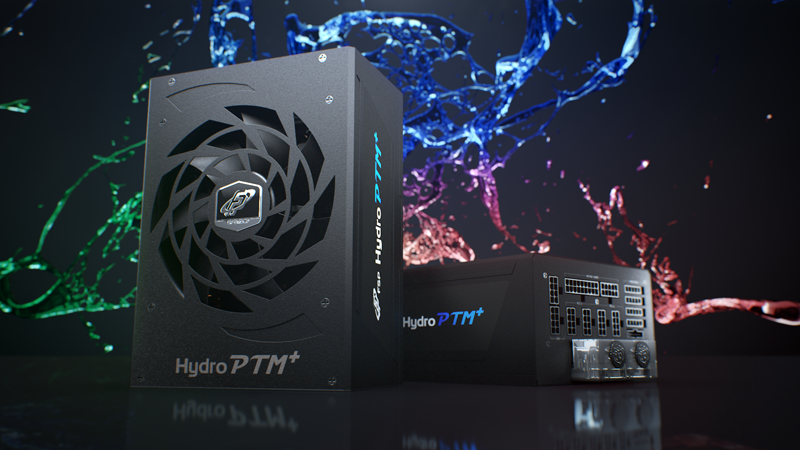 Enabling liquid cooling allows the Hydro PTM+ to deliver an additional 200W, up to 1400W and the fan to remain inactive up to 50% system load. 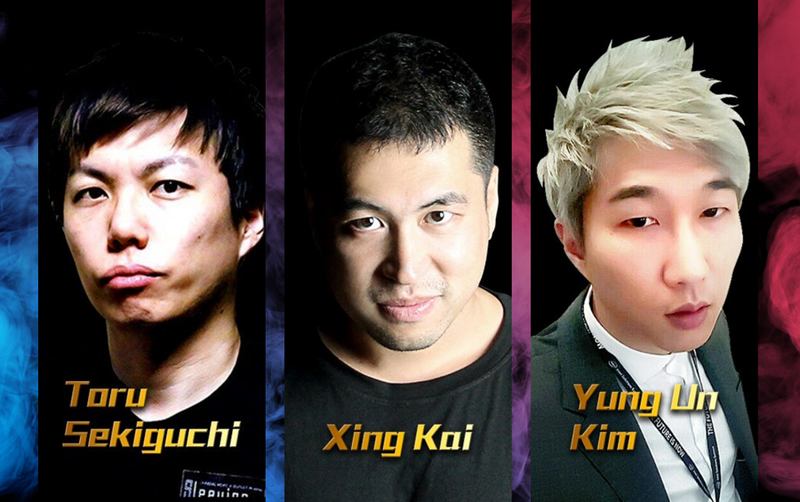 FSP has invited global famous case-modders to display the power of liquid cooling. With this unique approach, modders can liquid cool their CPU, GPU and PSU into some of the most creative systems ever created, with performance to match their looks.